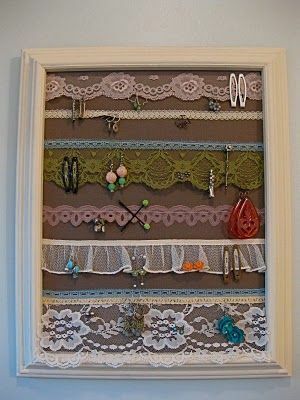 Unlike the original creator, I don't have a bunch of lace or trim lying around my house so I bought some from the fabric store for a few dollars. 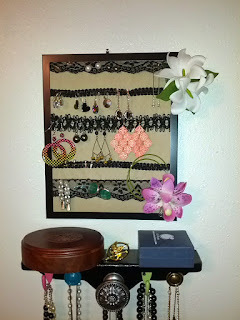 I had some extra neutral fabric and got an 8" x 10" picture frame from Walmart. 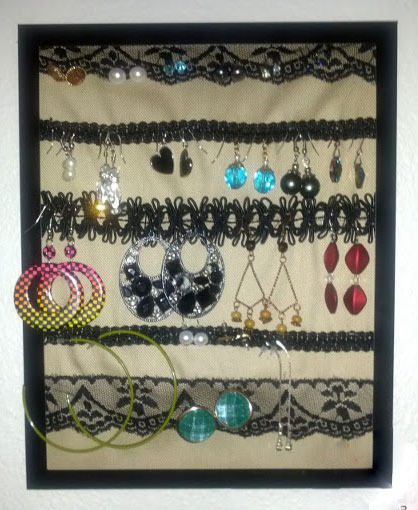 I spent about $8, but could have easily spent less if I wanted to make the effort to paint an older, practically free frame & find some lace at the thrift store. Anyway, I didn't have double-sided tape, any sort of glue, or even a stapler lying around my apartment. And I was just too lazy and impatient to leave the apartment to find some. Sooo I basically sewed the fabric to the cardboard (I should probably replace the needle in my machine now...) and called it good. 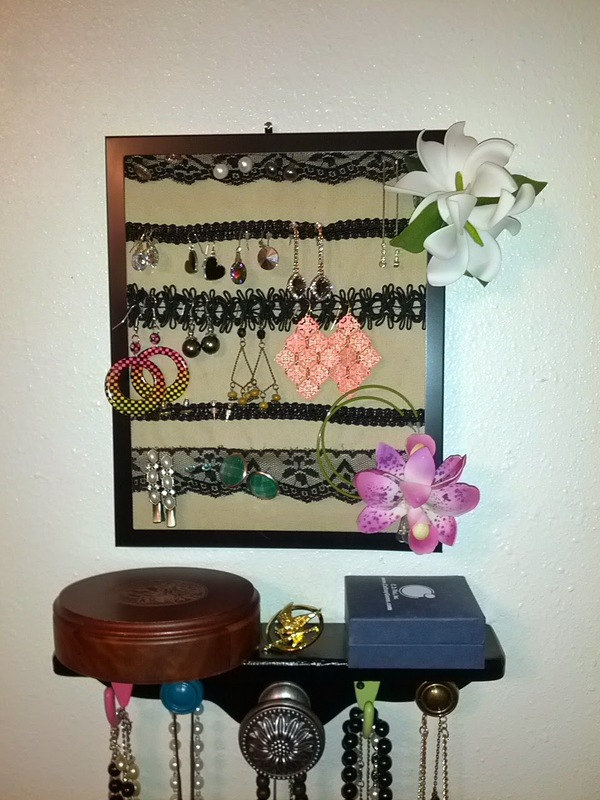 The fabric isn't stretched as tight on the cardboard or in the frame as it could be, but it turned out decent and now my earrings are finally organized and easily accessible! Hooray! !